← WHEN IS A LIE NOT A LIE? WHEN IT’S THE TRUTH! ATTENTION! TO EVERYONE WHO IS VOTING IN THE NOVEMBER 2012 ELECTION!! THE FOLLOWING INFORMATION HAS BEEN VERIFIED AS BEING “TRUE” THROUGH SNOPES.COM! IF YOU ARE PLANNING TO VOTE A “STRAIGHT DEMOCRATIC TICKET” THIS NOVEMBER, BE SURE TO “PUNCH PRESIDENT OBAMA’s NAME “FIRST” ON THE CARD, THEN PROCEED TO PUNCH “STRAIGHT DEMOCRATIC TICKET”! IF YOU DON’T PUNCH PRESIDENT OBAMA’S NAME FIRST ON THE TICKET, YOUR VOTE WILL BE VOIDED!!!! PLEASE PASS THIS IMPORTANT INFORMATION ON TO ALL YOUR E-MAIL FRIENDS AND FAMILIES. I’M SURE THIS INFORMATION WILL NOT BE TOLD TO YOU AT THE POLLS THIS COMING NOVEMBER!!!!!! As we get closer and closer to the November elections, there is going to be more and more bits of information and, unfortunately, some misinformation about the candidates, the elections, and the election processes. This is the reason why, as voters, we have to be as diligent as we’ve ever been. I spoke with Ms. Gloria Williams, formerly of the City of Detroit Department of Elections, to get some clarification of the voting process, relative to Detroit, Wayne County, and Michigan. She was able to verify that the information in the e-mail was not a concern for the voters of this state. A voter that selects a presidential candidate of a party and also selects the straight ticket for that party does not risk voiding their vote. 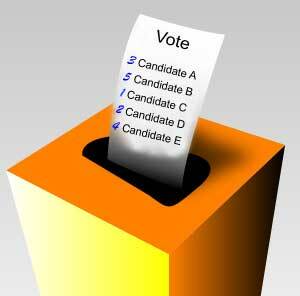 Also, if a voter selects the straight ticket box, then, that selection will include the top of the ticket, as well. It is every voters responsibility to know the laws for voting in their districts. We need to know [them] for ourselves. This election, like the last, is the most important election of our lives. Each election carries that designation, and each requires the same level of respect. As we continue in our quest to “form a more perfect union,” our vote, the freedom to choose how we are governed, and by whom, is by far the most important constitutional tool, in our “democratic” tool box. Don’t let it be silenced, usurped, or otherwise manipulated, by rumor or unverified statements. Take the time to know for yourself. “People often say that, in a democracy, decisions are made by a majority of the people. Of course, that is not true. Decisions are made by a majority of those who make themselves heard and who vote – a very different thing.” This is quoted from William H Judd, a conservative politician, from a time when conservatism had a much different connotation. “In a democracy, people get the government they deserve,” This quotation is often attributed to Alexis de Toqueville. These quotations speak volumes, but not more than your votes. You must know, for yourselves [the] how, when and where, to exercise this right. AND THEN, GET OUT AND VOTE!! !